Give yourself the chance to stay in a luxury hotel in Venice, where the services , amenities and comforts offered will make your stay, whether for leisure or business, relaxing and unforgettable. 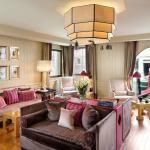 Luxury hotels offers in Venice available on our website are constantly updated, you can book on line to get an instant confirmation without paying in advance. On Traveleurope you can quickly book luxury hotel offers in Venice with instant confirmation and no down payment: do not hesitate, check out the hotels detail pages and easily find the most suitable accommodation for you! 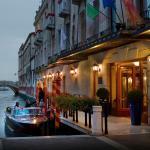 Near Piazza San Marco, overlooking the lagoon, you will be received by the luxury Hotel Danieli. From the nearby vaporetto stop you can reach the railway station of Santa Lucia.